“Sometimes it’s hard to understand why some things have to be, but in his wisdom, God has planned beyond our power to see”. Viola Williams Haynes, daughter of the late Lucy Clark and Chessie Williams, was born January 13, 1926 in Lewiston, N.C. She entered eternal rest, Thursday, November 15, 2018 at California Pacific Medical Center. Viola received her primary education in Bertie County, North Carolina. She moved to Ashokie, North Carolina. with her Uncle Frank and his wife, then later moved to Virginia to continue her education. While there, she worked as a waitress to help raise her sister Nettie, and brother Maryland. After leaving Virginia, Vi headed west to San Francisco where she met and married, her late husband, Alfred Haynes. Together, they amassed a huge network of friends throughout the city and opened their home to friends and family alike. It is said to be almost a rite of passage for friends and family to at some point call Vi and Alfred’s loving space HOME. Thus, she proudly wore the title: Mama Vi, to all. Vi was also known for her work ethic, as evidenced by her impeccable while employed for the Army and Air Force Exchange. She worked there for several decades, eventually retiring in 1992. 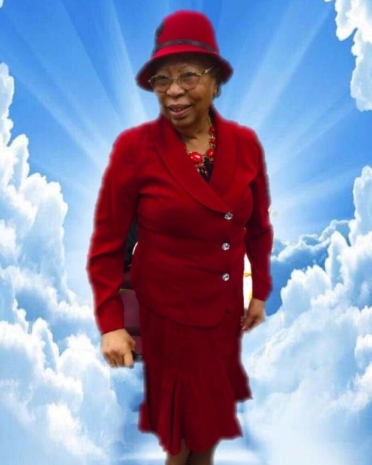 She was a faithful member of Ebenezer Missionary Baptist Church and participated in the usher board and Red Hat Club. Vi attended and worked diligently with her church until her recent health decline. She had many hobbies and interests, including gardening, reading, taking fun trips and fellowship with others. Additionally, she loved shopping and clothes, was known as quite the “fashionista” to everyone. Viola is preceded in death by her husband,Alfred Haynes (the edge of the page was cut off, please fill in the missing sentence), sisters Mamie _____ and Fannie Williams, and brothers Cornelius, and Maryland Williams. Mama Vi will be deeply missed by everyone whose life was impacted by her and by everyone that she touched. She leaves to cherish her memory a sister, Nettie English (Norman), Philadelphia, PA, a brother, James Williams, Norfolk VA, a niece, Mary Gordon, Irvington N.J., a nephew Mateen Kemet, Bronx, NY, and dear friend and confidant whom she also referred to as nephew, George Jackson, San Francisco CA . Vi also leaves goddaughters Angelique Peques-Myers, Yvette Peques and many other nieces, nephews, cousins and host of wonderful friends. Viola Haynes was a remarkable woman with an amazing presence and she will be truly missed.